The political panel show has been hosted by Jones for more than a decade. He is the face of one of the nation’s most iconic TV roles. But Jones announced in February that he will be stepping down from the position before the end of the year. According to The Australian, Jones will “reluctantly” give up his role to travel to Asia with his wife, former Four Corners host Sarah Ferguson, to accompany her in her new role as the ABC’s China bureau chief. It’s the end of an era for the controversial program, which Jones launched in May 2008 with former Prime Minister Kevin Rudd as his first guest. Jones has been a journalist for 30 years, and is the recipient of four Walkley awards. He will leave a tough hole to fill. Speculation has it that Trioli might be the one to take on the challenge. 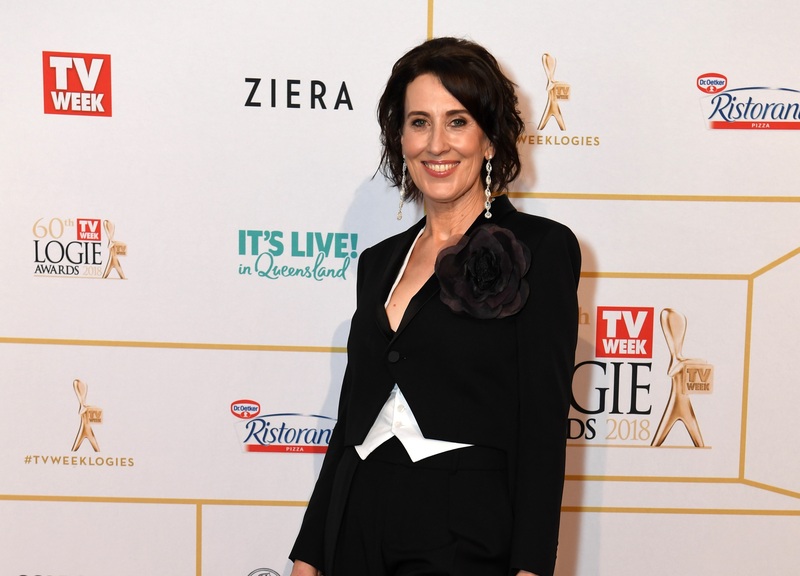 She has sporadically filled in for Jones over the past few years, including hosting a #MeToo special in 2018 with panellists Isabella Manfredi, Josh Bornstein, Janet Albrechtsen and Catharine Lumby (controversial Sydney barrister Charles Waterstreet, who has been repeatedly accused of sexual misconduct, withdrew from the panel at the last minute). The 53-year-old Italo-Australian journalist has made a fierce name for herself over a 29-year long career, which began with a position as reporter at The Age from 1990 to 1999, and includes other notable roles such 702 ABC Sydney radio host, commentator on Insiders and Friday night presenter of ABC’s Lateline. Trioli has co-hosted ABC Breakfast since 2008, and is currently accompanied by Michael Rowland. She most famously made her mark in journalism in 2001, while presenting the Drive show on ABC Radio Melbourne. She was interviewing the defence minister Peter Reith over the Children Overboard Affair. Reith claimed that he had evidence – in the form of photographs of children in the water – that asylum seekers rescued by HMAS Adelaide had thrown their children overboard. Trioli was relentless in her scepticism, and pressed the minister for stronger evidence. REITH: It is an absolute fact; children were thrown into the water. So, do you still question it? TRIOLI: I am a journalist; I’ll question anything until I get the proof. REITH: Well, I have given you the evidence. TRIOLI: No, you have given me images. Trioli won a Walkley award for the interview. In September of 2018, Trioli gave a speech at the Women In Media Conference at the Gold Coast entitled ‘Being a difficult woman in a difficult world’. “You have to live an authentic working life — and that won’t look like anybody else's,” Trioli declared. Trioli was thrown into public strife in 2009 when caught live on camera making a “he’s so crazy” hand gesture about then-National Party Senator Barnaby Joyce, while he spoke on air. Q&A plays an important role in the facilitation of democratic discussion in contemporary Australian and political society. Trioli has been proffered by numerous media outlets as the prime candidate for the newly-opened position, with other candidates including Ellen Fanning, Julia Baird and Annabel Crabb. Virginia Trioli will officially launch the reciproco/Reciprocal multimedia exhibition tonight at the CO.AS.IT. Museo Italiano. The event presents the works of five Italo-Australians and five Italians in relation to migration.